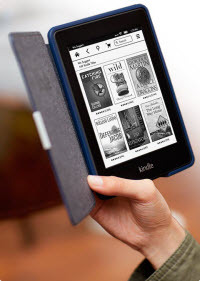 How to Read PDF on Kindle Paperwhite? Kindle Paperwhite is the first self-illuminated e-ink reader of Amazon. The build-in light is great for nighttime reading, and the touch screen is a notch above the competition. Kindle Paperwhite can display AZW, TXT, PDF, unprotected MOBI, and PRC files natively. Amazon also offers an email-based service that will convert HTML pages, Microsoft Word (*.doc and *.docx) documents, GIF, PNG and BMP graphics through email-based mechanism. The support provides great convenience for users. However, it also has the disadvantage. For people who need to send the files to Amazon, they have to connect to the internet first. Is there a more straightforward way to convert GIF, PNG and BMP files to PDF? How to convert GIF, PNG and BMP files to PDF for Kindle Paperwite? PDFMate Free PDF Merger (Kindle Paperwhite PDF Converter) is a powerful combination of PDF Merger and Image to PDF Converter. As a PDF Merger, it can merge multiple PDF files into one PDF. Users can specify the page range they need to preserve in the output file. As an Image to PDF Converter, the program supports to merge BMP, TIF, JPG and PNG image files to PDF files. The program also can merge PDF files and image files together. Download PDFMate Free PDF Merger, install on your computer and run the program. Kindle Paperwhite PDF Converter supports to convert JPG, BMP, TIF and PNG image files to PDF for PDF reading in Kindle Paperwhite. 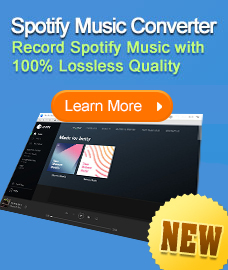 It is a free image to PDF converter with impressive performance and a dead-simple interface. Click the "Add Files" button on the upper left of the interface. Choose the source image files and load them to the program. In the layout zone, you can change the paper size and arrange the structure of the PDF file. The Image to PDF converter provides options to change page size to A3, A4 and A5. Users can put 2 images or 4 images in only one page by selecting 2IN1 or 4IN1 accordingly. Moreover, this Kindle Paperwhite PDF Converter give you full control on the output PDF file. You can restrict the permissions to open, edit, copy or print the file by setting password. Click the Open button to find the PDF file in destination folder and then transfer the file to Kindle Paperwhite. Open the device you can read the merged PDF file.